Digitalisation creates unprecedented opportunities for solving pressing environmental challenges. The South Pole Digital Lab is our centre of excellence where we develop and scale digital solutions for better managing climate and natural resources challenges, as well as program web-based and mobile client applications. Fighting increasing air pollution in cities in a concentrated manner using big data. We developed a tool to analyse traffic flow and air quality in cities (IM4CT) relying on mobile network data, in cooperation with Telefonica and Teralytics. The CleanCoin project assesses the climate impacts of the Bitcoin and Ethereum cryptocurrencies, suggests ways to reduce their carbon footprint and provides live greenhouse gas emissions calculators to track progress over time. 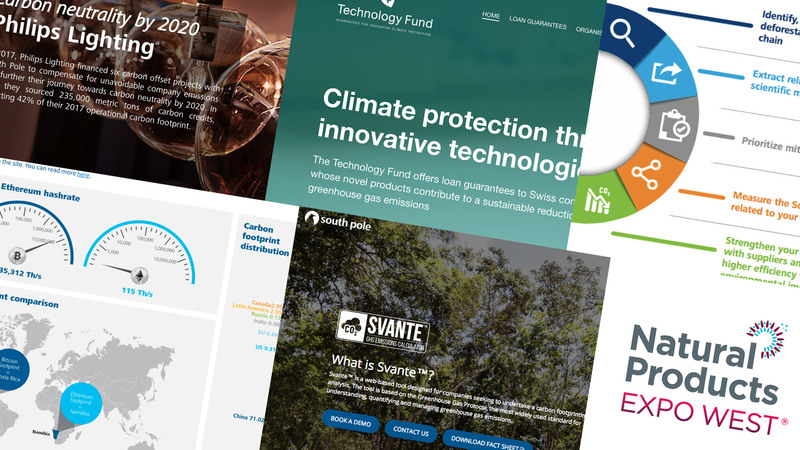 Cloud-based Portfolio Management Software for Climate Cent Foundation and Technology Fund, allowing for the management of projects and applications. Antarctica Project Management Software for the development, implementation, and management of carbon and renewable energy project portfolios. Fyll i dina uppgifter nedan för att få åtkomst till filen. We have the answer to your sustainability challenges and would love to share our expertise with you. Subscribe below to find out more! There was an error while trying to fulfill your request. Please try again or contact us if the problem persists.